Cool! 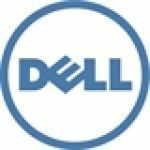 Save an average of 20% on Dell Small Business with 31 Coupon Codes, and 25 Deals! Details: Get $100 off $999+ any Latitude laptop or OptiPlex desktop. Limit of 5 promotional items per customer. Details: Extra $50 Off OptiPlex business desktop $599 or above + Free Shipping. Expires on 05/02/2014. Details: Save an Additional 10% on Dell monitors + Free shipping. Expires on 03/11/2014. Details: Extra $75 off Latitude Business Laptop with free shipping. Expires on 11/17/2013. Details: Shop Now and Find Affordable Business Desktops Starting at Just $479. Order today and save big! Details: $268 off the Optiplex 3020 small form factor business desktop with the 4th Gen Intel Core i3, 4 GB memory, 500 GB hard drive, & Windows 7 Professional for only $559.99 with free shipping! Expires on 03/05/2014. Details: Get $243 Off the OptiPlex 7010 business desktop with the Intel Core i3 processor, 2GB memory, 250 hard drive, and Windows 7 Home Premium + Free Shipping. Expires on 03/13/2014. Details: Save Up to 40% Off On These Select Tablets Deals, Updated on a Weekly Basis. Valid for a limited time only. Details: Check out the Featured Deals & Coupons of the week and Save Up to 40% on Select Computers, Accessories and More! Limited time offers, shop now and save. Details: Get Latitude 10 Essential tablet for $215 (Reg. $415). Expires 03/30/2014. Details: Get $336 off Dell OptiPlex 3020 business desktop with 4th Gen Intel Core i5 processor, 4GB memory, 500GB hard drive for $619 only with free shipping. Expires on 02/12/2014. Details: Get 20% off all Dell Replacement Blubs for Dell Projectors. Expires on 04/05/2014. Details: Save Extra 10% on Dell monitors with free shipping. Expires on 11/03/2013. Details: Save an Additional 10% on Dell printers + Free shipping. Expires on 03/11/2014. Details: $80 Off plus Additional 10% Off the Dell UltraSharp 24 Monitor - U2412M with a 24-inch display + Free shipping. Coupon codes J8QNP41TP8QV9S and N5FCPN59R0KN3D. Expires on 03/06/2014. Details: Get $341 Off OptiPlex 3020 small form factor business desktop with Intel Core i5, 4GB memory, 500GB hard drive, with Windows 7 Professional + Free shipping. Expires on 05/02/2014. Details: Get $383 off Latitude 15 3000 series 15-inch business laptop w/4th Gen Intel Core i5, Windows 7 Pro, 4GB memory, 500GB hard drive with free shipping! Expires on 03/05/2014. Details: 40% Off Dell OptiPlex 9020 small form factor business desktop with 4th Gen Intel Core i5, 500GB hard drive, and AMD 8490 processor + Free Shipping. Expires on 11/17/2013. Details: Save an additional 10% off Dell projectors + Free shipping. Expires on 03/11/2014. Details: Save $410 on the Latitude E6430 business laptop with the Intel Core i3, 320GB hard drive, NVIDIA NVS 5200M GDDR5 1GB video card + Free Shipping. Expires on 05/02/2014. Details: Save an Additional 10% on Dell electronics and accessories + Free shipping. Expires on 03/11/2014. Details: Dell Inspiron 660 desktop with 3rd Gen Intel Core i5 processor, Windows 7 Professional, 8GB memory, 1TB hard drive for $549.99 with free shipping. Expires on 11/01/2013. Details: Get 39% Off Latitude 14 3000 series business laptop with Intel Core i5, 4GB memory, 500GB hard drive, & Windows 7 Professional + Free Shipping. Expires on 05/02/2014. Details: Get $336 off OptiPlex 3020 business desktop with 4th Gen Intel Core i5, 4GB memory, 500GB hard drive with free shipping. Expires on 03/05/2014. Details: 25% off Dell UltraSharp U3011 30" Monitor with PremierColor. Details: Save $217 on Two Dell UltraSharp 23-inch Monitors U2312HM and MDS14 stand + Free Shipping. Expires on 03/11/2014. Details: 20% off the XPS 8700 business desktop with 8 GB memory, 1 TB hard drive, and Windows 7 Professional for only $799.99 + free shipping! Expires on 03/05/2014. Details: Save Up to 30% on select TurboTax software and bundles + Free shipping. Expires on 03/06/2014. Details: 91% Off McAfee Internet Security 2014 for 3 PCs + Free Shipping. Expires on 12/03/2013. Details: Get $104 Off on the Inspiron 3000 series small form business desktop! 4th Gen Intel core i3 processor and Windows 7 Professional with free shipping! Expires on 03/05/2014. Desktop Deals: Up to 40% Off Updated Weekly! Details: Save Up to 40% Off On These Desktop Deals, Updated on a Weekly Basis. Valid for a limited time only. Details: Save Up to 40% Off On These Laptops Deals, Updated on a Weekly Basis. Valid for a limited time only. Details: Get $20 off the BUFFALO MediaStation 8x Portable DVD Writer with LED Power Indicator with Hi-Speed USB for just $29.99 with free shipping. Expires on 04/01/2014. Details: Save up to 39% on Intuit Quicken and TurboTax bundles - starting at $54.99. Expires on 03/15/2014. Details: Save Up to 35% on Select OptiPlex Desktops, Latitude Laptops and Dell Precision workstations + Free shipping. Expires on 03/20/2014. Details: Get $280 Off the Inspiron 17R business laptop w/ 3rd Gen Intel Core i3, 6GB memory, 750GB hard drive, 17.3-inch HD display, and Windows 7 Professional + Free Shipping. Expires on 03/05/2014. Details: Get $292 Off the Latitude 15 3000 series business laptop with the Intel Core i3 processor, 4GB memory, 500GB hard drive, and Windows 7 Professional + Free Shipping. Expires on 03/05/2014. Details: Get 30% Off the Optiplex 3010 Small Form Factor business desktop w/ Intel Pentium G2030, 2GB memory, 250GB hard drive, Windows 7 Home Premium, and 3 year basic hardware service + Free Shipping. Expires on 03/05/2014. Details: $252 off Latitude 15 3000 series 15-inch business laptop with 4th Gen Intel Core i3, Windows 7 Professional, 4GB memory, 500GB hard drive for $589 only with free shipping! Expires on 03/05/2014.